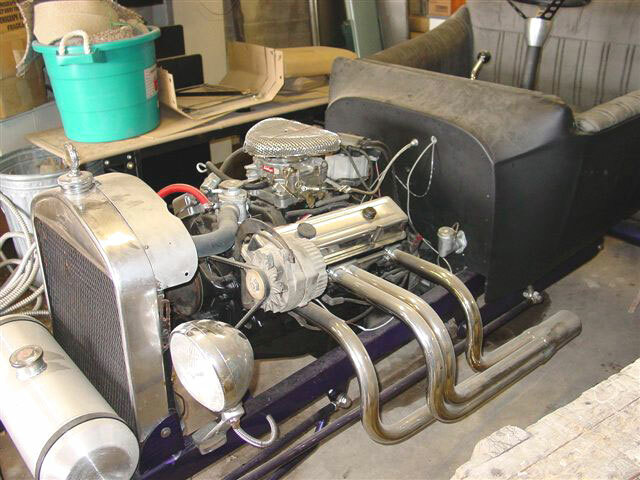 This primer black 1923 Ford T-Bucket hot rod is a cutom-built old school hot rod with a good-running 305 CID Chevy 4 barrel carburetor motor and 3 speed manual transmission. The body and dash are fiberglass. New parts include rear coil overs, tires and wheels, Flaming River steering gear box, Total Performance steering column, Painless wiring harness, chrome headers, Wilwood front disc brakes, all brake lines, master cylinder, rear brake shoes, gauges, front steering rod and steering wheel. Every nut, bolt and washer is chrome. The headlights are new and have built-in turn signals. The taillights are reproduction 32 Ford. The electronic turn signal box is missing ($75). There is a good original windshield not shown on the car. 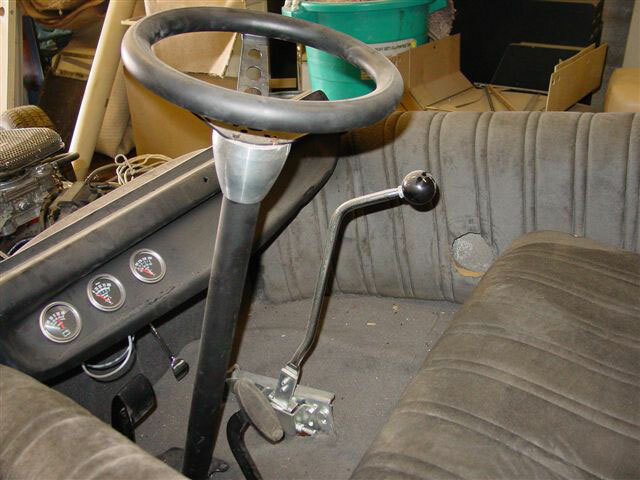 The clutch and shifter set up needs some work and the way it is set up it is hard to shift. Because of room, it might be best to put an automatic in it. The close up photo shows the 305 CID Chevy V-8 that is currently in the car. 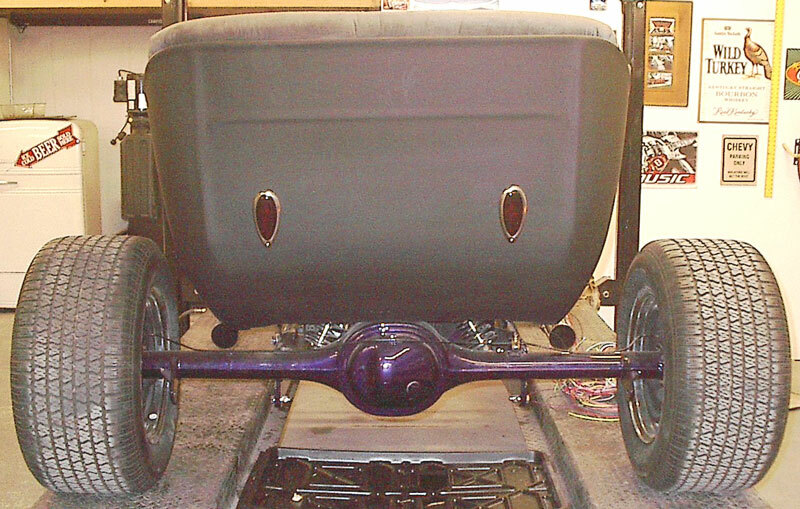 The frame, rear end, drive line and front end are powder coated candy purple. 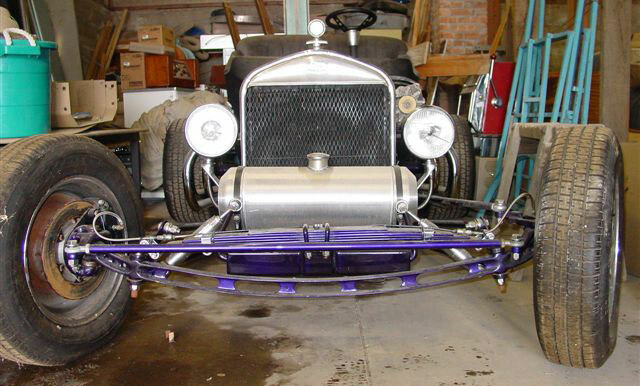 The front leaf suspension is custom. The rear suspension is coil springs over a Ford 9" differential. The car has a front aluminum hot rod gas tank. Here is your opportunity to own a true old-school hot rod with all the work done and many thousands in new high-value parts. Please call (406) 318-0270 for details about this Bucket T hot rod. For sale $7,500.